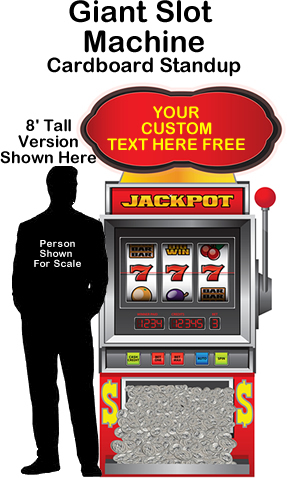 Roulette Entrance Cardboard Cutout Standup - Dino Rentos Studios, INC. 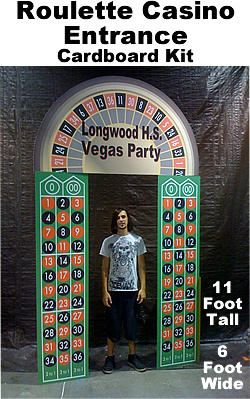 Perfect display entrance for your vegas themed party or event. Cardboard entrance is printed one side and is 11 feet tall by 6 foot wide. Kit assembles in 30 Mins. Easy Assembly.